Sarah Watson is the Heston Blumenthal of Bundaberg Rum. The brains behind the premier golden liquids taking the world by storm, from a Masters degree in science to crafting rums that have collected international accolades like the World Rum Awards Best Dark Rum 2017, World's Best Gold Rum 2016 and San Francisco Spirit Competition Gold Medal 2017, she wouldn't have wanted it any other way. Bundaberg Rum is so much more than the drink you think you know. Distilled locally from the molasses of Bundaberg's iconic red-soil sugar, the ever popular Australian spirit is heralding a new era of premium liquor status and international recognition thanks to the evolution of blending science and the secret underpinning its success through nearly 130 years – passion. Passion for rum, passion to innovate and a passion to be a part of something big. Like its original forefathers, the Bundaberg Rum family has come from all walks of life, with different career paths, degrees and interests, but each member has come with passion and it's abundantly clear that it works. Sarah's passion is science, chemistry to be specific. With a Bachelor of Science Honours degree in Toxicology and a Masters in Science, you'd half expect her to be donning a white scientist's coat solving the mysteries of the world in some secret government lab, but her career led her to culinary success in Bundaberg. Sarah's interest in chemical analysis led to her role as Instrument Chemist for Quality Assurance at the Distillery. 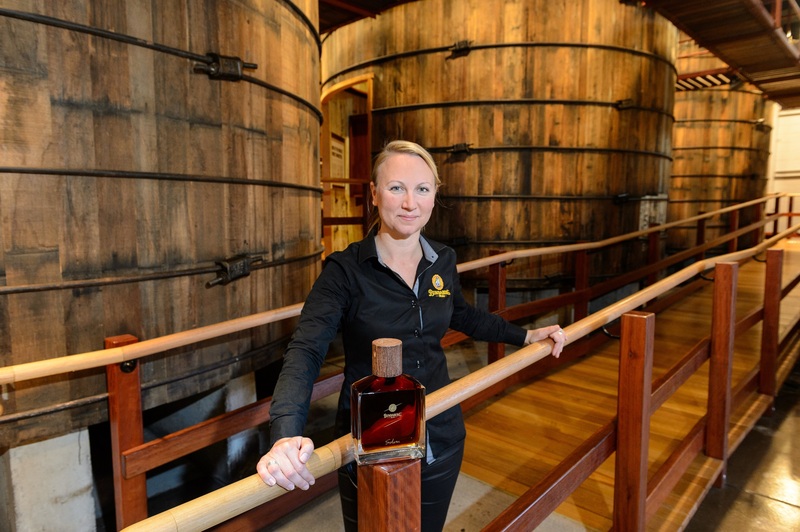 As her passions grew and changed she moved into her current role of Innovation and Brand Change and is leading the team in creating a new premium Bundaberg Rum Range. Come experience the new premium Bundaberg Rum range on a distillery tour or don a white lab coat in the 'Blend Your Own' Experience.